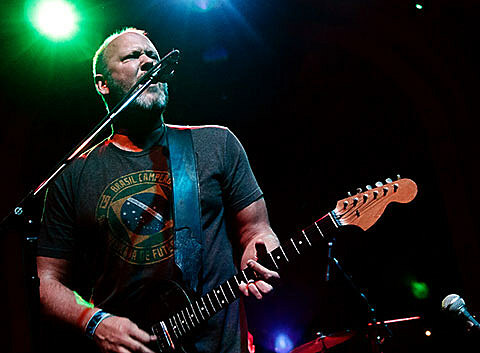 Eric notes that his Archers bandmate Eric D. Johnson plays all the electric guitar on Bachmann’s forthcoming solo album. “I’m a fan of his guitar playing and we talked about doing more Archers songs when we recorded this stuff and he said, ‘Just let me know man. '” He says that he’s been working on songs for Archers but becoming a father has slowed the process down. While we wait for new Archers of Loaf material, Bachmann’s new album, No Recover, is out September 7, and heads out on a tour of living rooms and intimate venues starting this week.